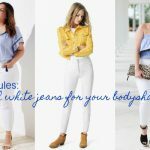 Do you know what jean style you should be wearing for your body shape? Well here’s a handy infographic ( I just created) that may surprise you (or not). 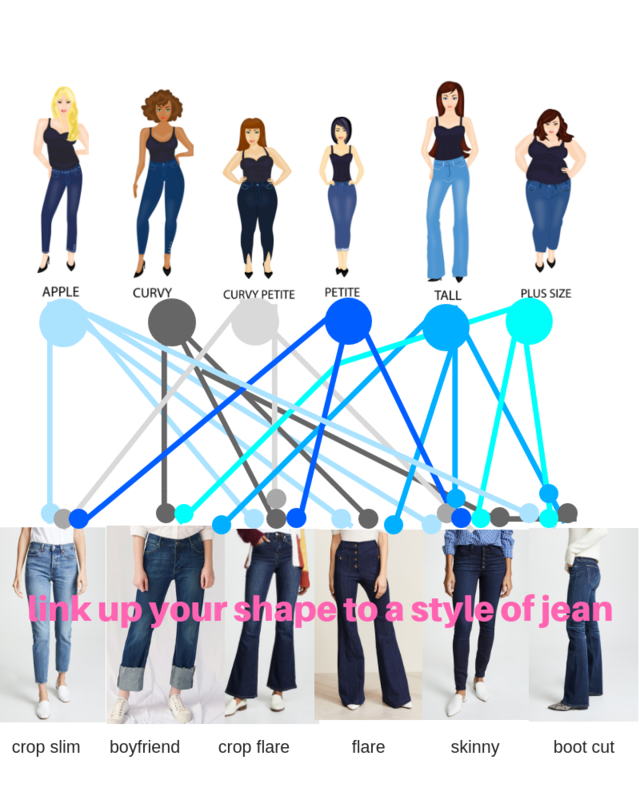 Find your body shape below and then follow the coloured lines to the different jeans suitable for that body shape. 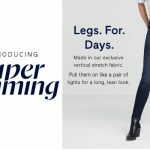 You’ll be able to see how many jean styles can work for you! 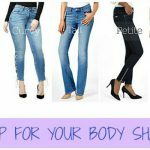 Match your jean style to your body shape. 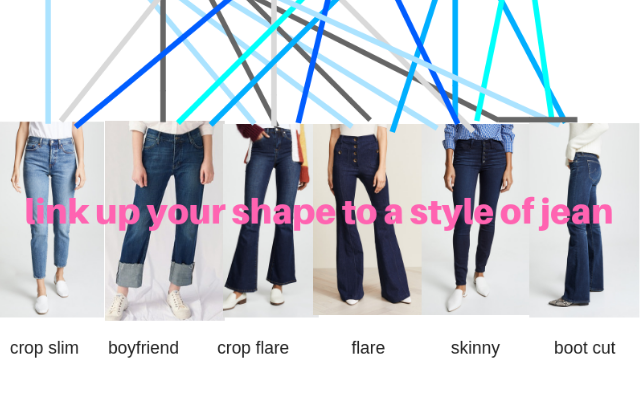 Curvy: boyfriend, crop flare, flare, skinny & boot cut. Curvy Petite: crop slim, crop flare & skinny. 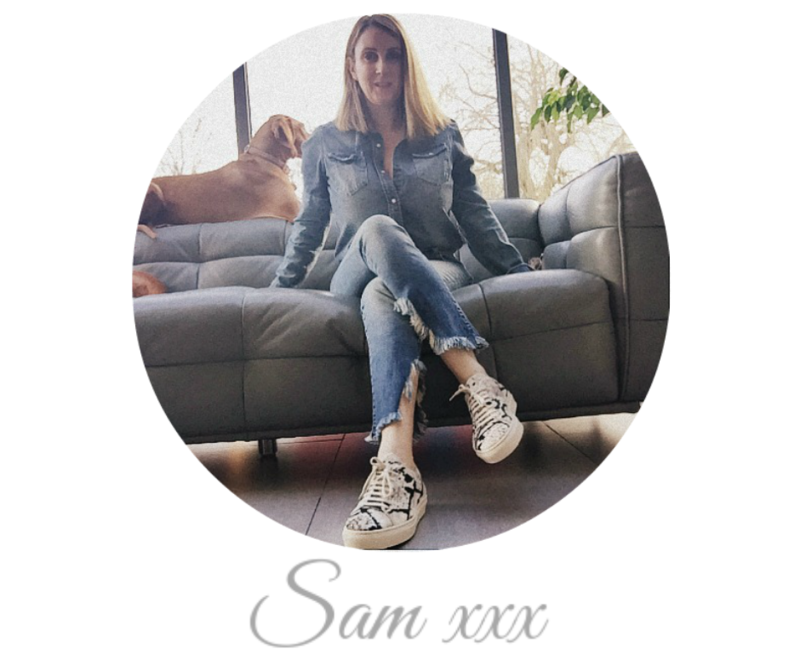 Petite: crop slim, crop flare & skinny. 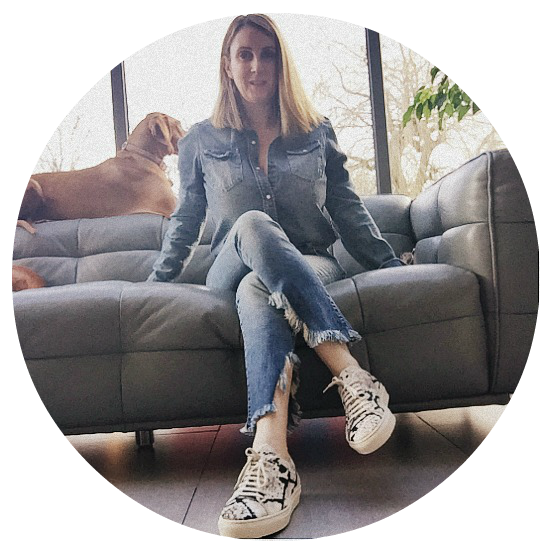 Tall: boyfriend, flare, skinny & boot cut. 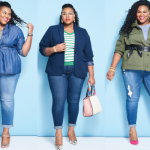 Plus Size: boyfriend, skinny & boot cut. 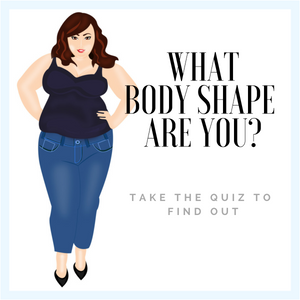 I look forward to your comments below on your body shape and the style of jeans yo wear, love to have a chat! 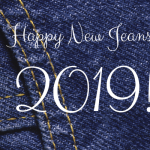 « WE WANT A JEAN FOR OUR APPLE BODY SHAPE!